Dash to Gotham City Energy Facility with Batman to intercept Mr. Freeze in his mighty Exosuit. Thaw the ice prison with Batman's flamethrower to release the trapped security guard, then face-off against the Super-Villain. Dodge blasts from the Exosuit's freeze gun, and put the heat on with Batman's flamethrower. Only Batman can save the day! 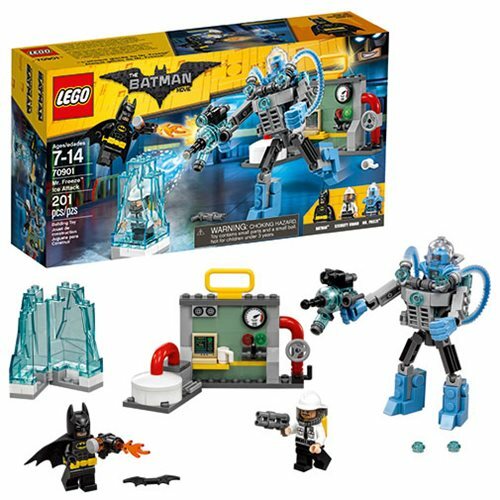 The LEGO Batman Movie 70901 Mr. Freeze Ice Attack includes 201 pieces. Ages 7-14.